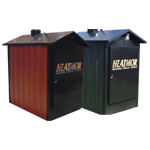 Heatmor is the manufacturer of stainless steel outdoor furnaces offering a more economical way of heating your home, garage, shop, pool or spa. Built from 409 stainless steel and backed by a limited lifetime warranty, our furnaces provide safe, economical, and convenient ways of burning wood, corn and used oil. 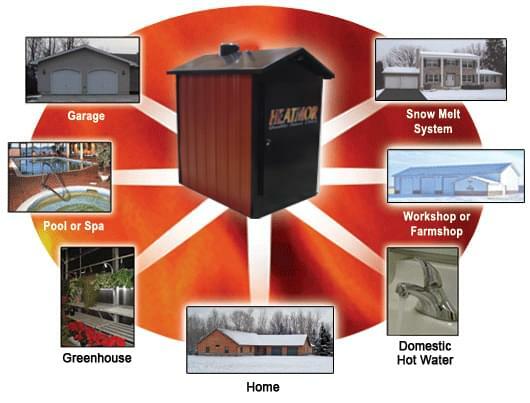 You realize big savings with your HEATMORâ„¢ furnace, designed to work as easily with existing heating systems as with new construction. The more heating needs you have, the greater the savings, because a HEATMORâ„¢ system can add warmth to your life inside and out.